Located in Nassau County, New York, The Nassau County Society for the Prevention of Cruelty to Animals is a 501(c) (3), nonprofit entity organized to protect animals in the county from abuse and neglect. We hold special authority as NYS peace officers to enforce NYS Agriculture & Markets Law, and all other state and local humane laws. We are the only animal protection agency officially designated to operate within the county’s borders. The Nassau County SPCA is an organization dedicated to the rescue, care and placement of needy animals. The Society’s operations have been historically funded through contributions solicited from the public and through corporate grants. The Nassau County SPCA receives no public taxpayer funding. 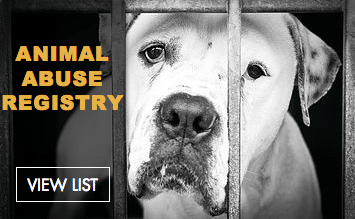 The mission of the Nassau County Society for Prevention of Cruelty to Animals is to protect Nassau County’s animals from cruel & inhumane treatment and put an end to animal suffering through education, community involvement, and enforcement. The continued success of each endeavour relies heavily on private donations. Your generous contribution will help the Nassau County SPCA in all of our vital efforts. The Nassau County SPCA rescues, rehabilitates and provides care for animals that have been displaced or harmed. With the help of our volunteers, law enforcement agents, rescue workers, veterinarians, we are able to treat and find permanent homes for animals who have been abandoned, abused or neglected. We are making strides to foster a community of compassion by educating the public about needy animals right in our backyard. Many noteworthy initiatives are underway at the Nassau County SPCA including volunteer programs, student and community involvement, and animal companion programs. We provide local leadership in key areas: Offering resources for pet owners, assisting in the care and placement of homeless pets, enforcing animal protection laws, preventing animal cruelty, and serving victims of animal cruelty.